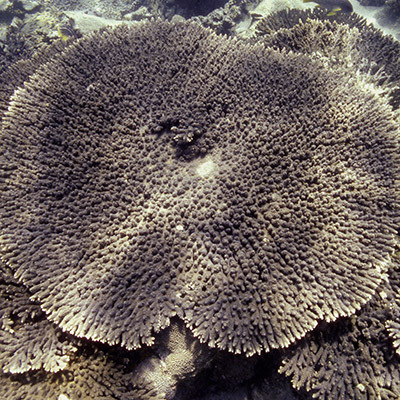 Size: The species forms large coral heads of usually up to 1 m, and exceptionally several meters in diameter. Calices are normally 5 mm wide, with walls being 5 – 6.5 mm high and 1 – 2.2 wide. In the Arabian Gulf, Platygyra daedalea occurs in various coral reef environments, at depths ranging from 1 – 10 m, with larger colonies usually found in deeper waters. This species also occurs in isolated colonies on subtidal rocks. In the Indo-West Pacific, the Brain Coral is found from southern and eastern Africa, the Red Sea, southern Arabia and the Arabian Gulf, to Japan, Southeast Asia, Australia, and the oceanic West and Central Pacific. 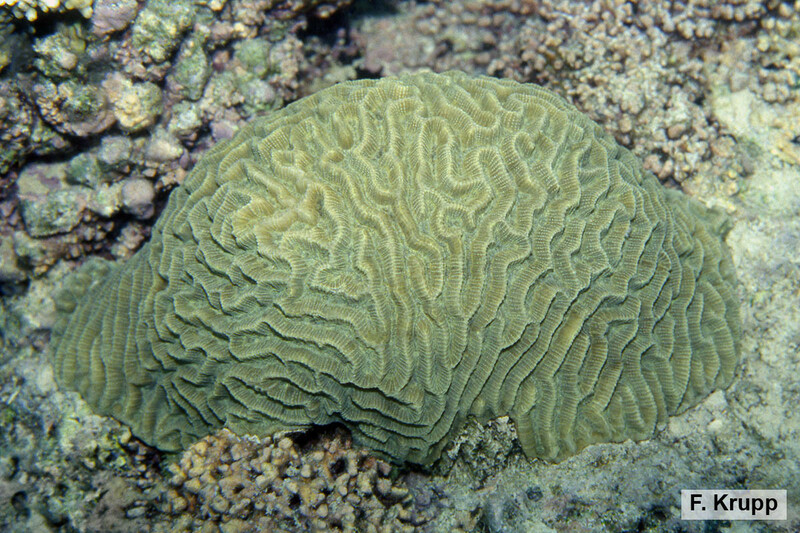 Colonies are massive or encrusting and characterized by long meandroid valleys, hence the name brain coral. They have thin walls with valleys being wider than the separating walls. The walls are sharply angular and perforated. Septa extend above the corallite and they are pointed above the walls. The columella is weakly developed and centers are indistinct. The color varies from brown, tan, green to gray-green, sometimes with brighter green or gray valleys.